A Community Coalition focused on improving weatherization and energy efficiency for those in need through education, volunteer work projects, and community-building. 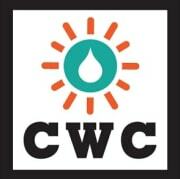 The CWC is looking for energetic and dedicated volunteers to perform comprehensive energy tune-ups for households in need. Training will be provided. Make a Difference: Improvements and educational tips made by our volunteer Energy Coaches can help save $250-$300/year on residents' utility bills while conserving water and energy. Would you recommend Community Weatherization Coalition?